Rev. Dr. Tim Naish is the Canon Librarian of Canterbury Cathedral. He is also the Cathedral’s Director of Education, leading on the organisation of training courses at Canterbury, including those for newly ordained clergy from around the Anglican Communion. He served as a missionary in DRC. He sat down with Dr. Kyama Mugambi of CWC to talk about his cross cultural experiences in mission and the importance of World Christianity studies in the context of mission. Dr. Cathy Ross is on the faculty of theology at Oxford University where she lectures on Contextual theologies, World Christianity, feminist theologies and hospitality. She also lectures at Ripon College Cuddesdon, is also MA Co-ordinator for Pioneer Leadership Training at CMS. She serves as canon theologian at Leicester cathedral. She previously was a missionary in Rwanda, Congo and Uganda with NZCMS. She sat down with Dr. Kyama Mugambi of CWC to talk about her cross cultural experiences in mission and the importance of World Christianity studies. Dr. Chow from Edinburgh University is Senior Lecturer in Theology and World Christianity. He is also Journal Editor, Studies in World Christianity (Edinburgh University Press), Book Series Editor, Chinese Christianities (Notre Dame Press) and the Chair, Chinese Christianities Program Unit (American Academy of Religion). He sat down with Dr. Kyama Mugambi of CWC to talk about World Christianity and linkages between Asian and African scholarship in the field. 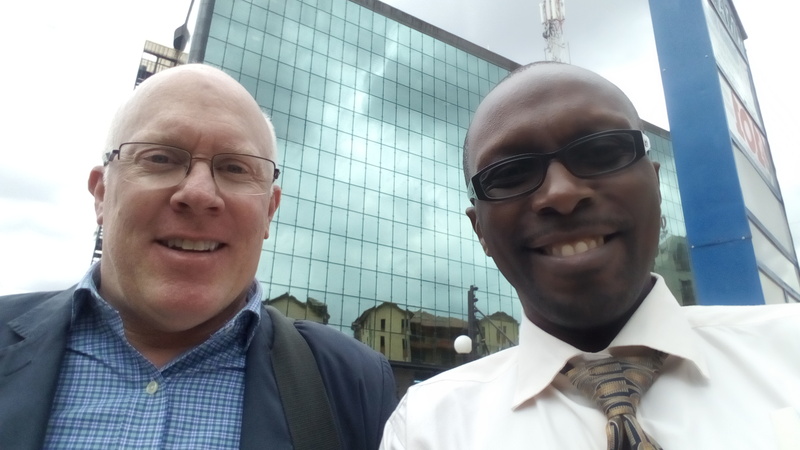 CWC’s Kyama Mugambi sat for a meal and conversation with Dr Michael Glerup from Yale University on September 21st to talk about his work as the Director of the Project on Religious Freedom and Society in Africa. The project aims to catalyze conversations around church and society in Africa engaging theologians and pratictioners from the academy and the church. The role of religion in public discourse in Africa is cannot be overstated. Of this, Prof Lamin Sanneh, the D Willis James Professor of World Christianity at Yale University writes, "The only reason Africans have turned, and continue to turn, to religion is because they see religion as something necessary and integral to their lives: religion makes living and what lies beyond personally meaningful. That is something the world is unable to do for them."